Another breakfast in our Italian household was potatoes and eggs, we loved it. This Potato and Egg Frittata and an all-time favorite breakfast, lunch or dinner when I was growing up. Money was tight in the 1960s. This was mom's go-to recipe until the next payday. It will feed a large family inexpensively and become a delicious memory throughout adulthood. Mom always knew how to make meals taste like a banquet of love, this was one of them during tough times. We were lucky enough to have a garden that dad had a green thumb for. He grew potatoes, carrots, peas, tomatoes, peppers. It was wonderful to go into our backyard and sneak a fresh tomato right off the vine and eat it as a kid. Funny how nothing taste that sweet and delicious anymore. Dad was amazing with his garden, I can't even write all the foods he cultivated for us, those were the good old days for sure. I can't even keep a plant alive in my home, sigh. Mom and dad grew up in poor families with lots of kids. Their parents had to come up with many inexpensive ways to feed the family. This was one of those foods. The potatoes were inexpensive and often the eggs were given fresh from farms that friends and family owned back then. Back in the 1930s and 1950s this breakfast, lunch or dinner was referred to as depression food. You can add more than just potatoes and eggs. Any kind of chopped vegetables is a perfect addition to this frittata. Ham, cooked Italian sausage, pepperoni or whatever leftovers were in the refrigerator went into this frittata and everyone loved it. Potatoes were a great filler to feed the family, inexpensive and always added to many meals. 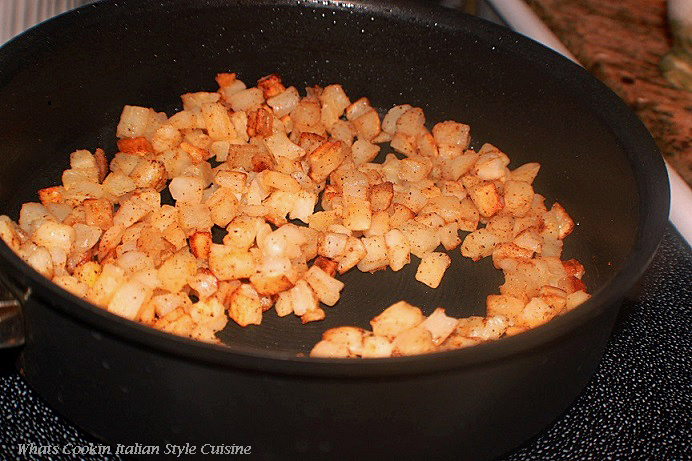 The real trick is to get those potatoes crispy and browned first, it makes all the difference in flavor! Season them hot and spicy or plain with salt, it's your choice. Cabbage, leftover ham and potatoes were another favorite mom made. Potato soup and her ham and white beans potato soup were always part of a great meal. Fast, easy and delicious all in one pan meal. Mom would never let anything go to waste. None of us really had a clue how tough money was back then, especially not by the way we ate. We didn't know that mom was trying to stretch the budget, and it was always a delicious banquet to us. These were dishes we had at the end of the month when money was tight back in the 1950s for my family. It was all that the family could afford to eat left in the house, and if we were lucky enough we had it on bread or mozzarella on top for a real treat. Three kids to feed and two adults and grandma lived with us, this meal went a long way and we loved it. We still think its fabulous and make it for our kids and their kids now. Looking back now on how creative my mom and grandma were, we look at these foods as the best-cherished memories of our Italian heritage of foods growing up. The simple foods in life are the finest of all and most satisfying. This is very easy to follow kind of recipe, that you can transform into a delicious breakfast, lunch or supper. 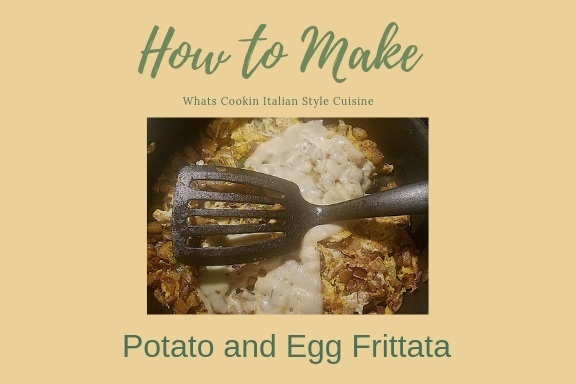 If you haven't tried a potato and egg frittata, it will be your new favorite meal to try! This is a recipe mom made time and time again when money was tight and had to wait for the next paycheck. 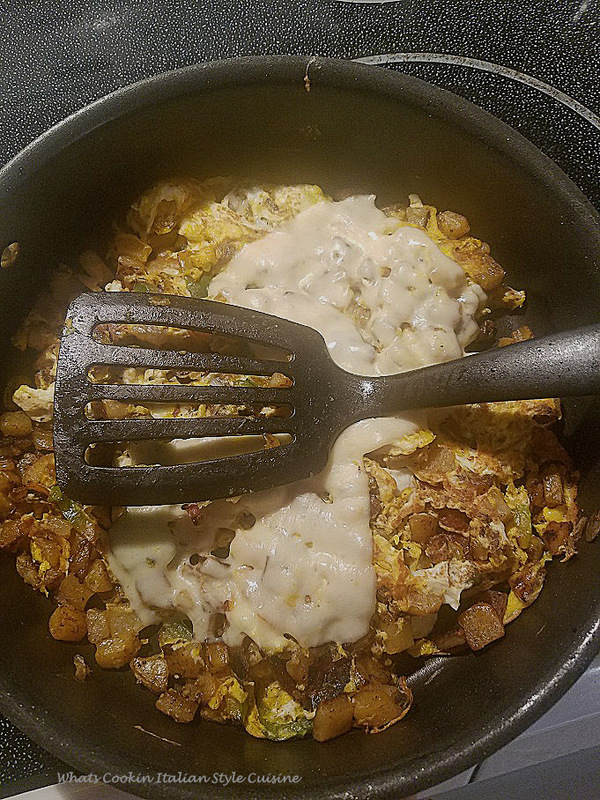 Inexpensive and delicious, potatoes and egg frittata. An Italian staple in our home back in the 1960s. you also can use canola and olive oil mixed. In a medium-size frying pan cover bottom of a pan with around 4 tablespoons heat oil, butter or rendered fat. 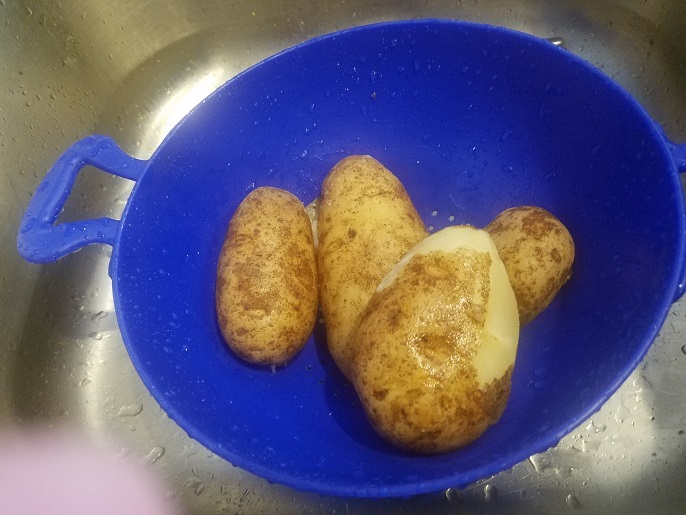 Fry potatoes until light brown in color. Remove drain on paper towels. Pour eggs with reserved, 2 tablespoons of oil in the hot pan cooking one side. Add potatoes back on top. Flipping once. Top with mozzarella, if you're not ready to eat, put this in a warm oven till your ready to eat. You can serve with bacon on the side, sausage, ham. Serve in a sandwich or with Italian toast and sliced tomatoes on the side or just as it is. 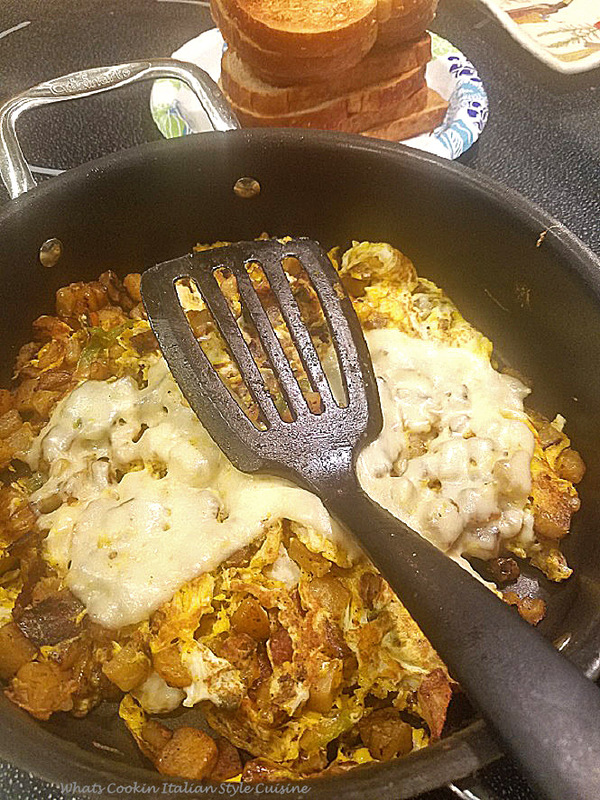 Here are a few other recipes to try for Breakfast! I love whipping up egg dishes when the fridge is a little bare and/or I haven't planned ahead for dinner. This kind of meal is a classic in my book. congratulations on your top nine! Oh yes! I was raised by a single mother who came to America from Germany. There were plenty of "stretching the budget" meals with potatoes and/or cabbage. Like you said, we didn't know that's what she was doing, we just loved the food! Looks great! I had potatoes and frittata for Sunday brunch as well! you gotta love the simplicity of it. 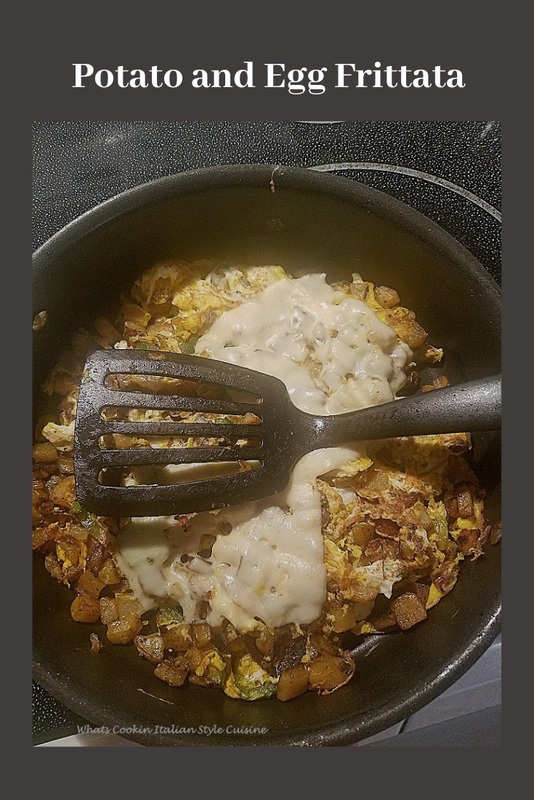 you can't go wrong with potatoes, eggs and cheese, can you? We make potatoes and eggs all the time for breakfast and sometimes we add cheddar cheese. I never thought of adding mozzarella. Yum! Yum! We have our own version of this in our house, I love how simple and easy it is! This looks like such an easy weeknight meal to keep in your back pocket and a way to get rid of some leftovers. I really trying hard to waste less food and need more meal ideas like this! this reminds me of Spanish Tortilla Espanola. We love it. I love all your memories, Claudia ~ and you are so right, the simple food from our childhood is always the most beloved. We love to eat frittatas for dinner, so this is on our menu this week!